Especially with colour fan decks, it is important to present similar colours in a way that allows the human eye to detect the finest differences. In order to enable the end customer to choose the right colour nuance from the fan deck, the colours must be perfectly accurate. 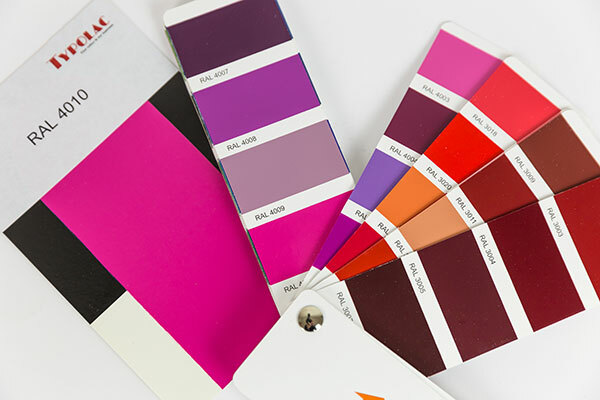 We mix each colour individually, print them in true colour and ensure compliance of the colour’s shade throughout the whole process. 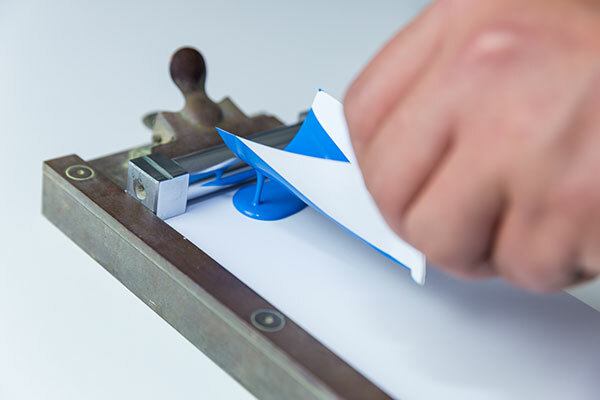 When we manufacture colour cards and colour samples, we take your colour templates and measure them on the spectrophotometer. This determines the colour location, which can be saved for future use and is as unique as a fingerprint. Using the results of technical measurements, we create a colour formula and mix the colour. 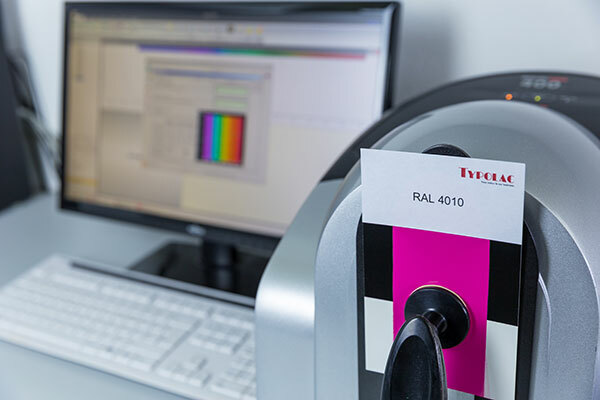 A colour paint sample is then examined visually and measured using spectrophotometer and observed in different light conditions. This way we create metamerism-free samples. After approval of all colours the production can start. 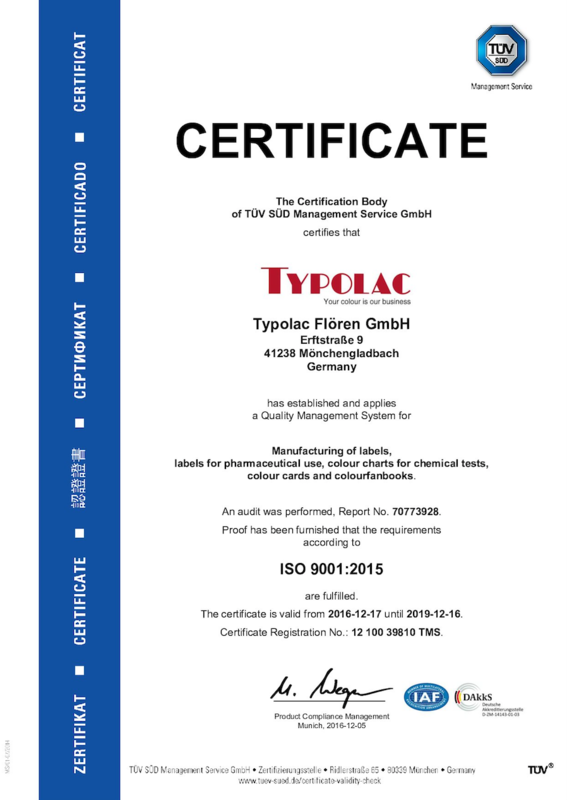 The TYPOLAC process, has a great advantage over conventional printing because the colour coat is opaque and so the white of the paper does not influence the colour. The colours can be produced in different gloss levels, from matte, semi matte to satin sheen or very high gloss. 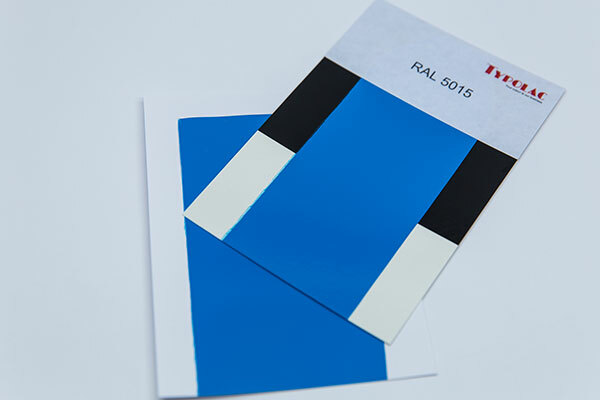 The number of colours we can produce on colour cards and colour sample is unlimited. We are happy to print the colours in rectangular, round or even free forms according to which form best suits your needs.